Horton-in-Ribblesdale sign viewed from the train station. Once you have touched the final trig, head back in the same direction you came. If you get confused, start at the trig and head to the wind shelter. Pass the wind shelter and keep walking in the same direction. 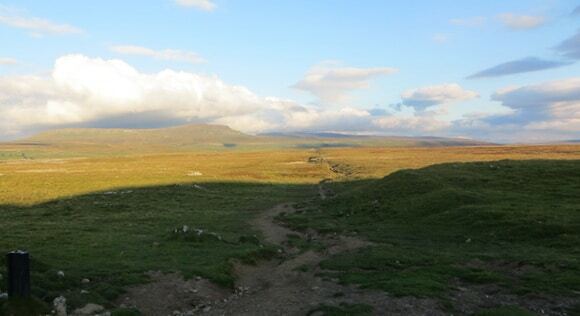 Once you reach the edge of Ingleborough, turn right and follow the ridge until you reach the steps where you originally came from. At the upturned rock, take the path leading to the right. After the upturned rock it is a clear route heading back to Horton-in-Ribblesdale. 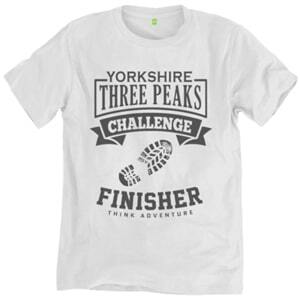 The terrain is easier on your feet and there are no more inclines. The journey back will lead you between some large rocks and a wall. It can be very slippery when the rocks are wet. Take your time and be careful when walking through this area. 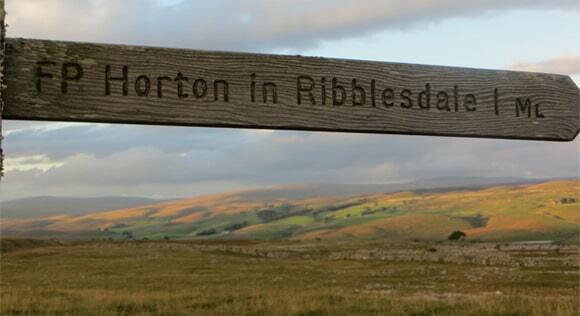 There is a signpost 2 miles and 1 mile from Horton-in-Ribblesdale. 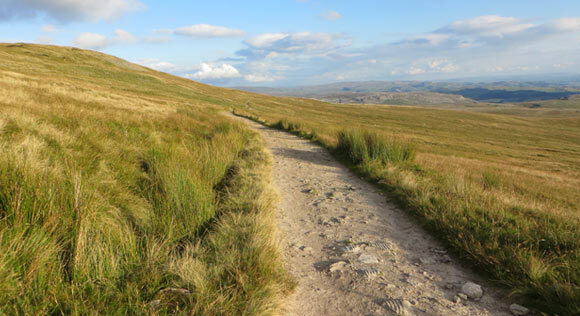 The marked path disappears during the final mile to Horton-in-Ribblesdale and leads through fields. 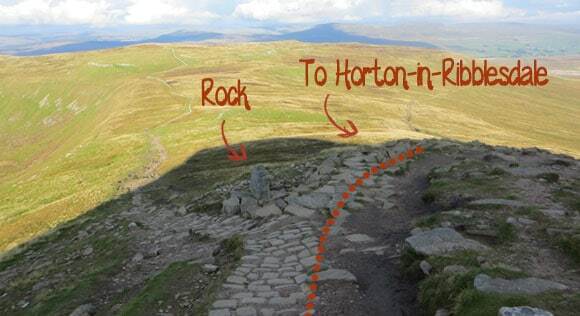 The route is easy to follow by the worn grass and you can see Horton-in-Ribblesdale for the remainder of the walk. 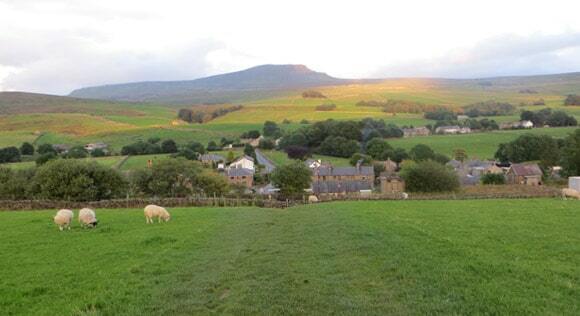 Pen-y-ghent is constantly in the background and can also be used as a marker. 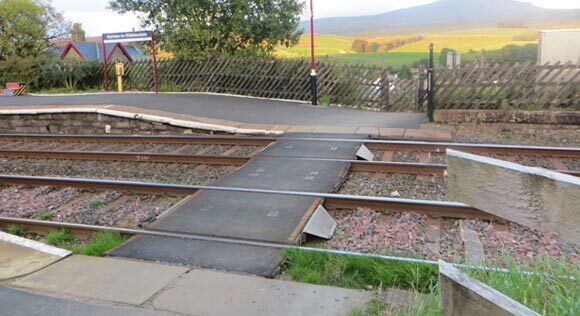 The route back to Horton-in-Ribblesdale leads through the train station’s platform and you need to cross the railway line. Beyond the railway line is a downhill path leading on to the B6479 main road. 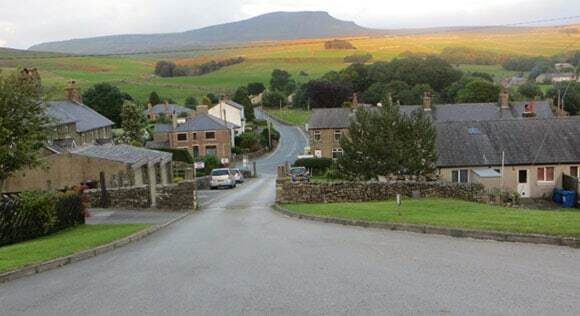 This road passes The Crown Hotel, National Park Car Park and the Pen-y-ghent Cafe. All of which are within 200 metres of each other. 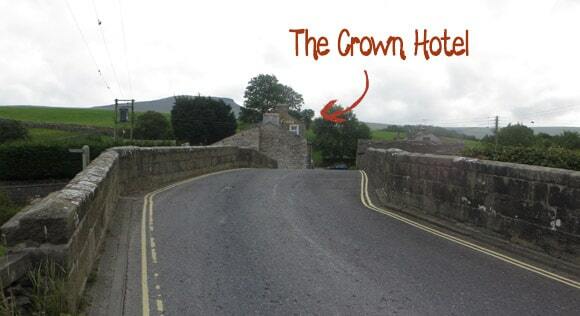 The Crown Hotel is just over the bridge, which crosses over the River Ribble. The Crown Hotel is open to anyone and isn’t just for hotel guests. They have 2 bars and serve food throughout the day. 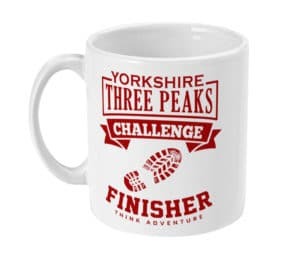 Further information can be viewed on their website. Keep following the road to the National Park Car Park and Pen-y-gent Cafe. 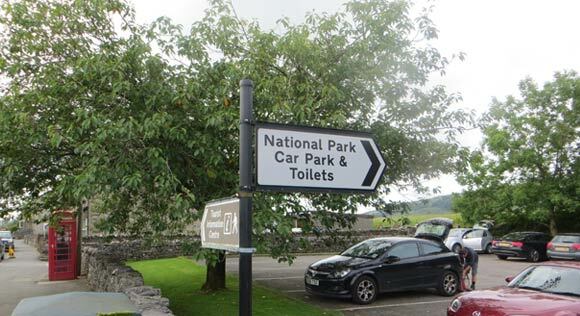 The National Car Park is located on the right-hand side of the road and is clearly signposted. Toilets are available in this car park and are free to use. 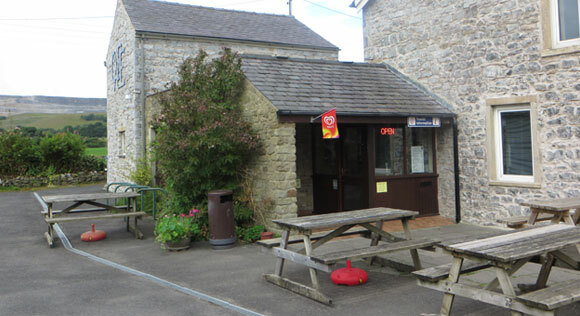 A few more metres down the road is the Pen-y-ghent Cafe. 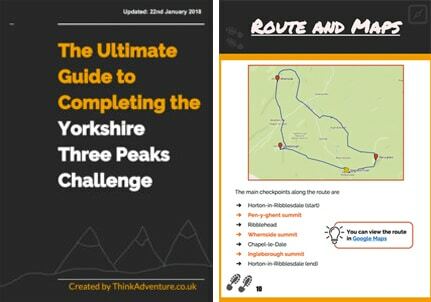 And that is the end of the Yorkshire Three Peaks Challenge. Congratulations!